What affect will the redshirt protest have? 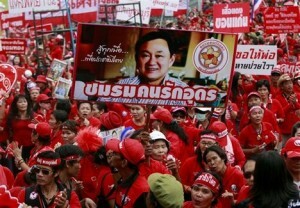 As the demonstrations continue, many people are getting worried about the affect this will have on the Thailand Open 2010. From my own experience living and working in Bangkok, I have no problems with the demonstrators, as my home and office are not in the affected areas. Neither is the Hotel. No matter what happens, we are committed to make this tournament every bit as good and better than previous years. Century Park Hotel is not close to the confrontation at the government offices and the business/shopping district. A piece of good news is that many of the demonstrators will return home as is traditional in Thailand for the New Year (Songkran) holidays. 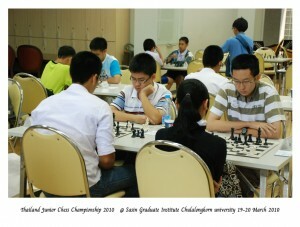 The tournament is on, and we will not let the remaining demonstrators disrupt the Thailand Open. We are looking forward to welcoming all of you to Bangkok. My advice is “Don’t worry, play well” ! The biggest danger is to get caught out in the water festival! This year’s biggest danger during the tournament is that you will get wet: of all the feasts and festivals in Thailand, which are many, the Songkran Festival is the most striking, as during the afternoons in the hottest part of the year, Thailand cools off with water games. Songkran is a Sanskrit word in Thai form which means the entry of the sun into any sign of the Zodiac. But the Songkran in this particular instance is when the sun enters the sign of Aries or the Ram. Its full name is Maha Songkran or Major Songkran to distinguish it from the other ones. But the people call it simply the Songkran for it is the only one they know and in which they take interest. It is their traditional New Year. Songkran begins on the 13th April and ends on the 15th April, but occasionally in certain years on the 16th April. The Songkran is in fact the celebration of the vernal equinox similar to those of the Indian Holi Festival, the Chinese Ching Ming, and the Christian Festival of Easter. 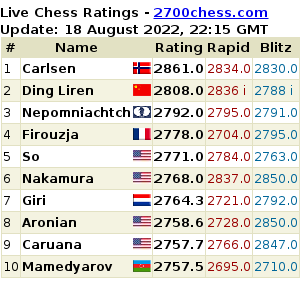 GM Marat Dzhumaev, rated 2525, has joined the growing list of international grandmasters vying for the Thailand Open crown. 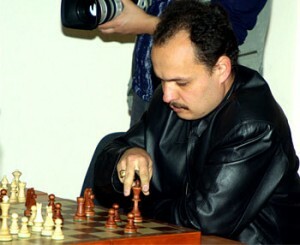 Dzhumaev has represented Uzbekistan in two Olympiads and the Word Team Chess Championships.